To promote and protect the health, safety and welfare of companion animals. 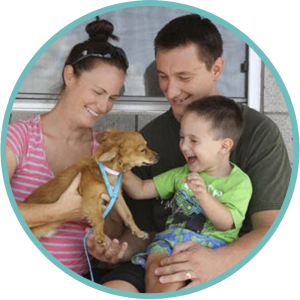 We are committed to ensuring that every companion animal in our community has a great home and is well cared for all of its life. Respect: We treat each person thoughtfully, politely and kindly. Trust: We conduct ourselves in an honest, ethical and professional manner in everything we say and do. Communication: We listen and speak openly, honestly and supportively. Customer Service: We consistently strive to exceed our customers’ expectations, both internal and external. Compassion: We work with a sense of humility and empathy for others. Teamwork: We recognize the importance of achieving results through cooperation and mutual respect. We value the ideas of others and seek out opportunities to create internal and external partnerships. Accountability: We honor our commitments and take responsibility for all of our actions. We operate with a sense of ownership in all matters, striving to fulfill the organization’s mission and being consistent between word and deed.